O. E. Malandraki, R. G. Marsden, T. R. Sanderson, C. Tranquille, R. J. Forsyth, H. A. Elliott, A. Geranios, E. T. Sarris, B. Heber, and R. Mueller-Mellin, Particle Observations and Propagation in the Three-Dimensional Heliosphere, Proc. 30th International Cosmic Ray Conference; Rogelio Caballero, Juan Carlos D'Olivo, Gustavo Medina-Tanco, Lukas Nellen, Federico A. Sanchez, and Jose F. Valdes-Galicia (eds. ); Universidad Nacional Autonoma de Mexico, Mexico City, Vol. 1 (SH), pp. 151-154, 2008. G. Anagnostopoulos, I. Louri, P. Marhavilas, G. Fronis, and E. T. Sarris, Low Energy (>40 keV) Ions and Electrons of Possible Jovian Origin in the Outer Heliosphere (Ulysses) and Near Earth (ACE) Between Days 290/2003 - 90/2004, EGU General Assembly, Meeting Programme p. 443, Vienna, Austria, 2007. A. Balogh and L. J. Lanzerotti, Chapter 1, The Heliosphere: Its Origin and Exploration, in The Heliosphere Through the Solar Activity Cycle, eds. A. Balogh, L. J. Lanzerotti and S. T. Suess, Springer Praxis Publishing, 2007. C. Denker, J. Z. Reza, A. J. Nelson, J. D. Patterson, T. P. Armstrong, C. G. Maclennan, and L. J. Lanzerotti, Statistical Study of Low-Energy Heliosphere Particle Fluxes from 1.4 to 5 AU over a Solar Cycle, Space Weather, 5(7) S07002, doi:10.1029/2006SW000274, 2007. Abstract, with link to full article. The Heliosphere Through the Solar Cycle, edited by A. Balogh, L. J. Lanzerotti, and S. T. Suess, Springer Praxis Publishing, 2007. D. Lario, and M. Pick, Heliospheric Energetic Particle Variations, in The Heliosphere Through the Solar Activity Cycle, pp. 151-194, eds. A. Balogh, L. J. Lanzerotti and S. T. Suess, Springer Praxis Publishing, 2007. D. Lario, Heliospheric Energetic Particle Variability Over the Solar Cycle, in Highlights of Spanish Astrophysics IV, edited by F. Figueras et al., pp. 295-302, Springer, 2007. D. Lario, Solar Energetic Particles, p. 103 in Commission 49: Interplanetary Plasma and Heliosphere, Proc. IAU, vol. 1, Trans. T26A XXVIA, Reports on Astronomy 2003-2005, Cambridge Univ. Press, doi:10.1017/S1743921306004406, 2007. O. E. Malandraki, R. G. Marsden, T. R. Sanderson, C. Tranquille, R. J. Forsyth, H. A. Elliott, L. J. Lanzerotti, A. Geranios, E. T. Sarris, B. Heber, and R. Mueller-Mellin, Particle Observations and Propagation in the Three-Dimensional Heliosphere, Proc. 30th International Cosmic Ray Conference, 2007. Abstract, with link to full article. D. J. Thomson, L. J. Lanzerotti, F. L. Vernon III, M. R. Lessard, and L. T. P. Smith, Solar Modal Structure of the Engineering Environment, Proc. IEEE, 95, doi:10.1109/JPROC.2007.894712, 2007. Abstract, with link to full article. G. Anagnostopoulos, I. Louri, P. Marhavilas, G. Fronis, and E. Sarris, Ions of Jovian Origin in the Inner Heliosphere? 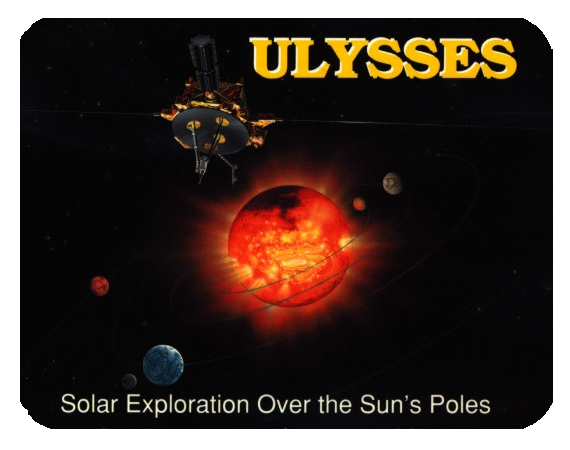 ACE and Ulysses Observations During Days 290/2003 - 90/2004, Proc. Second Solar Orbiter Workshop, ESA SP641, p. 64, Athens, Greece, 2006. I. Karanikola, Energetic Particle Distributions and Dynamics in the Jovian Magnetosphere, Ph.D. Dissertation, Demokritos University of Thrace, Xanthi, Greece, 2006. D. Lario, Radial and Latitudinal Variations of the Energetic Particle Response to ICMEs, in Solar Eruptions and Energetic Particles, edited by N. Gopalswamy, R. Mewaldt, and J. Torsti, Geophys. Mon. Series, 165, DOI: 2005BK000190, 2006. O. E. Malandraki, D. Lario, K.-L. Klein, R. G. Marsden, B. Heber, E. T. Sarris, and A. Geranios, Energetic particles as tracers of magnetic connectivity and solar injection, Proc. Second Solar Orbiter Workshop, ESA SP-641, Athens, Greece, 2006. G. Gloecker, L. A. Fisk, and L. J. Lanzerotti, Pickup Ions Upstream and Downstream of Shocks, pp. 252-260 in Physics of Collisionless Shocks, 4th IGPP Astrophysics Conference Proceedings, eds. Gang Li, Gary P. Zank, and C. T. Russell, AIP, 781, 2005. Abstract, with link to full article. G. Gloeckler, L. A. Fisk, and L. J. Lanzerotti, Acceleration of Solar Wind and Pickup Ions by Shocks, p. 52 in Solar Wind 11/SOHO 16 Programme and Abstract Book, European Space Agency, 2005. O. E. Malandraki, D. Lario, N. Tsaggas and E. T. Sarris, Energetic Particle Tracing of Interplanetary CMEs: ULYSSES/HI-SCALE and ACE/EPAM Results, in Coronal and Stellar Mass Ejections, Proc. International Astronomical Union (IAU) Symposium 226, eds. K. Dere, J. Wang, and Y. Yan, Cambridge University Press, 2005. D. Lario and G. M. Simnett, Solar Energetic Particle Variations, chapter in Solar Variability and Its Effects on Climate, Geophys. Mon. Series, 141, pp. 195-216, 2004. O. E. Malandraki, E. T. Sarris, P. Trochoutsos and G. Tsiropoula, Tracing the Magnetic Topology of the July 2000 Coronal Mass Ejection Event at 62 deg South Heliolatitude by Means of ULYSSES/HI-SCALE > 38 keV Electron Observations, pp. 51-55 in Proc. 6th Hellenic Astronomical Conf. (ed. Paul Laskarides), Athens, Greece, 2004. The Conference Proceedings (16.5 Mbyte PDF file) are available on the Hellenic Astronomical Society website. P. K. Marhavilas, E. T. Sarris, and G. C. Anagnostopoulos, Distinct Shock Acceleration Processes - Evaluation of the Magnetic Trap Dimension formed Upstream of the Interplanetary Shock on 147 Day, 1991, Using Measurements of Ulysses, p. 77 in Proc. 6th Hellenic Astronomical Conf. (ed. Paul Laskarides), Athens, Greece, 2004. The Conference Proceedings (16.5 Mbyte PDF file) are available on the Hellenic Astronomical Society website. J. Z. Reza, L. J. Lanzerotti, C. Denker, D. Patterson, and T. P. Armstrong, Spreadsheet Toolkit for Ulysses Hi-Scale Measurements of Interplanetary Ions and Electrons, 204th American Astronomical Society Meeting, Denver, May 30-June 3, 2004, AAS Bulletin, 36, 2, 2004. Abstract. O. E. Malandraki, Tracing the Magnetic Topology of ICME Events by Means of Energetic Particle Propagation Observations from the Ulysses and ACE Spacecraft, Ph.D. Thesis, Democritus University of Thrace, 2002. M. Pick, D. Maia, S. J. Wang, A. Lecacheux, and S. E. Hawkins III, Solar Origin of Near-Relativistic Impulsive Electron Events, p. 249 in Solar Variability: From Core to Outer Frontiers, Proc. 10th European Solar Physics Meeting, ESA SP-506, 2002. A. Aggelis, G. C. Anagnostopoulos, and P. Preka, Improvement in Successive Approximations Method and Application on Ulysses Energetic Particle Measurements Near Jupiter, 5th Hellenic Astronomical Society Conference, Crete, Greece, Sept. 20-22, 2001. Abstract. G. C. Anagnostopoulos, I. Karanikola, P. K. Marhavilas, and E. T. Sarris, Large Scale Energetic Layers in the High Latitude Jovian Magnetosphere, 5th Hellenic Astronomical Society Conference, Crete, Greece, Sept. 20-22, 2001. Abstract. G. C. Anagnostopoulos and I. Karanikola, Energetic Ions Observed by Ulysses in the Jovian Magnetosheath, 5th Hellenic Astronomical Society Conference, Crete, Greece, Sept. 20-22, 2001. Abstract. G. C. Anagnostopoulos, A. Aggelis, I. Karanikola, and P. K. Marhavilas, Energetic Ion (>~50 keV) and Electron (>~40 keV) Burst Observed by ULYSSES near Jupiter, 5th Hellenic Astronomical Society Conference, Crete, Greece, Sept. 20-22, 2001. Abstract. D. Lario, C. G. Maclennan, E. C. Roelof, J. T. Gosling, C. G. Ho, and S. E. Hawkins III, High-Latitude Ulysses Observations of the H/He Intensity Ratio Under Solar Minimum and Solar Maximum Conditions, pp. 183-188 in Solar and Galactic Composition, ed. R. F. Wimmer-Schweingruber, AIP Conference Proc., 2001. Abstract, with link to full article. O. E. Malandraki and E. T. Sarris, Tracing the Magnetic Topology of the July 2000 Coronal Mass Ejection Event at 62 Degrees South Heliolatitude by Means of Ulysses/Hi-Scale >38 keV Electron Observations, Proc. of the 5th Hellenic Astronomical Society Conference, 2001. Zip file on Hellenic Astronomical Society website. P. K. Marhavilas, G. C. Anagnostopoulos, and E. T. Sarris, Energetic Ion Distributions, Spectra and Periodicities (~5/10hr) Observed by Ulysses in the Outer High Latitude Dusk-side Jovian Magnetosphere, 5th Hellenic Astronomical Conference, Crete, Greece, 2001. Abstract. P. K. Marhavilas, G. C. Anagnostopoulos, and E. T. Sarris, Periodic Signals in Ulysses' Energetic Particle Events Upstream and Downstream from the Jovian Bow Shock, 5th Hellenic Astronomical Conference, Crete, Greece, 2001. Abstract. P. K. Marhavilas, G. C. Anagnostopoulos, and E. T. Sarris, Calculation of the Width L and Amplitude A of Shocks with Surface Ripples by Using Ulysses Measurements, 5th Hellenic Astronomical Society Conference, Crete, Greece, Sept. 20-22, 2001. Abstract. P. K. Marhavilas, E. T. Sarris, and G. C. Anagnostopoulos, Solar Energetic Electrons Propagation in Converging Interplanetary Magnetic Structures by Ulysses (Event of Day 081, 1995), 5th Hellenic Astronomical Society Conference, Crete, Greece, Sept. 20-22, 2001. Postscript file. R. B. Decker, E. C. Roelof, and S. M. Krimigis, Solar Energetic Particle Propagation in 1997-99: Observations from ACE, Ulysses, and Voyagers 1 and 2, pp. 161-164 in Acceleration and Transport of Energetic Particles in the Heliosphere (Proc. of ACE-2000 Symposium, 5-8 Jan., 2000, Indian Wells, CA), eds. R. A. Mewaldt, J. R. Jokipii, M. A. Lee, E. Moebius, and T. H. Zurbuchen, American Institute of Physics, Melville, New York, 2000. Abstract, with link to full article. C. G. Maclennan, L. J. Lanzerotti, L. A. Fisk, and R. E. Gold, Charged Particle Composition in the Inner Heliosphere During the Rise to Maximum of Solar Cycle 23, p. 169 in Acceleration and Transport of Energetic Particles in the Heliosphere (Proc. of ACE-2000 Symposium, 5-8 Jan., 2000, Indian Wells, CA), eds. R. A. Mewaldt, J. R. Jokipii, M. A. Lee, E. Moebius, and T. H. Zurbuchen, American Institute of Physics, Melville, New York, 2000. Abstract, with link to full article. E. C. Roelof, High Latitude Observations of Corotating Interaction Regions: Remote Sensing Using Energetic Particles, in Acceleration and Transport of Energetic Particles in the Heliosphere (Proc. of ACE-2000 Symposium, 5-8 Jan., 2000, Indian Wells, CA), eds. R. A. Mewaldt, J. R. Jokipii, M. A. Lee, E. Moebius, and T. H. Zurbuchen, American Institute of Physics, Melville, New York, 2000. Abstract, with link to full article. D. J. Thomson, L. J. Lanzerotti, and C. G. Maclennan, Coherent Frequency Variations in Electron Fluxes at 1 and 5 AU in the Inner Heliosphere, in Acceleration and Transport of Energetic Particles in the Heliosphere(Proc. of ACE-2000 Symposium, 5-8 Jan., 2000, Indian Wells, CA), eds. R. A. Mewaldt, J. R. Jokipii, M. A. Lee, E. Moebius, and T. H. Zurbuchen, American Institute of Physics, Melville, New York, 2000. Abstract, with link to full article. G. C. Anagnostopoulos, I. Karanikola, P. K. Marhavilas, and E. T. Sarris, Evidence of an Energetic Particle Population with ~10 Hour Spectral Hardening Outside the Jovian Magnetodisc: Ulysses Observations, MOP'99 Programme and Abstracts, Paris, France, p. 36, 1999. G. C. Anagnostopoulos, I. Karanikola, P. K. Marhavilas, and E. T. Sarris, Evidence of an Energetic Particle Population with ~10 Hour Spectral Periodicities Outside the Jovian Magnetodisk, 4th Hellenic Astronomical Conference Programme and Abstracts, Samos, Greece, 1999. G. C. Anagnostopoulos, I. Karanikola, P. K. Marhavilas, and E. T. Sarris, Evidence of an Energetic Particle Population with Periodic ~10 Hours Spectral Hardening Observed by Ulysses Outside the Magnetodisc, 4th Hellenic Astronomical Conference Programme and Abstracts, Samos, Greece, 1999. G. C. Anagnostopoulos, I. Karanikola, P. K. Marhavilas, and E. T. Sarris, Evidence of an Energetic Particle Population with ~10 Hour Spectral Hardening Outside the Jovian Magnetodisk: Ulysses Observations, MOP' 99 Programme and Abstracts, Paris, France, 36, 1999. R. B. Decker, E. C. Roelof, and S. M. Krimigis, Solar Energetic Particles from the April 1998 Activity: Observations from 1 to 72 AU, Proc. 26th Cosmic Ray Conference, 6, 328, 1999. J. Gomez, Energetic Particle Anisotropics at Interplanetary Shocks, Ph.D. Dissertation, Univ. of Kansas, 1999. R. Grappin, A. Buttighoffer, and J. Leorat, Cold Channels in the Accelerating Region?, Proc. of the SOHO 8 Workshop, June 1999. L. J. Lanzerotti, D. J. Thomson, and C. G. Maclennan, Engineering Issues in Space Weather, chapter 3 (pp. 25-50) in Modern Radio Science, edited by Maria A. Stuchly, Oxford Univ. Press, 1999. L. J. Lanzerotti, C. G. Maclennan, and R. E. Gold, Low energy (0.5-5.0 MeV/nuc) anomalous cosmic rays at high heliolatitudes and in the ecliptic plane, Proc. 26th Annual Cosmic Ray Conference, 7, 504, 1999. P. K. Marhavilas, G. C. Anagnostopoulos and I. Karanikola, Characteristic Periodicities (~40, 20, 15 min) of Energetic Ions Inside and Outside the Magnetosphere of Jupiter: Ulysses Observations, 4th Hellenic Astronomical Conference Programme and Abstracts, Samos, Greece, 1999. M. Pick, Radio and Coronagraph Observations: Shocks, Coronal Mass Ejections and Particle Acceleration, in Proc. of Nobeyama 1998 Symposium on Solar Physics with Radio Observations, NRO Report 479, edited by T. Bastian, N. Gopalswamy and K. Shibasaki, 1999. Abstract. G. C. Anagnostopoulo, P. K. Marhavilas, E. T. Sarris, S. M. Krimigis, L. J. Lanzerotti, and A. Balogh, On the Origin of Energetic (E>30 keV) Ions and Electrons in the Vicinity of Jupiter's Bow Shock, 8th IAGA Assembly Proceedings, p. 447, 1997. G. C. Anagnostopoulos, P. K. Marhavilas, E. T. Sarris, S. M. Krimigis, L. J. Lanzerotti, A. G. Rigas, and P. C. Trochoutsos, Quasi-Periodic Flux and Spectral Variations of Energetic Charged Particles Within Jovian Magnetosphere: Ulysses Observations, 8th IAGA Assembly Proceedings, p. 447, 1997. Samuel Edward Hawkins III, Bulk Flows of Hot Plasma in the Jovian Magnetosphere: A Model of Anisotropic Fluxes of Energetic Ions, Ph.D. Dissertation, Johns Hopkins University, 1997. L. J. Lanzerotti, D. J. Thomson, and C. G. Maclennan, Wireless at High Altitudes--Environmental Effects on Space-Based Assets, Bell Labs Technical Journal, pp. 5-19, summer 1997. O. E. Malandraki, Gr. Kasotakis, E. T. Sarris, P. Trouchoutsos, D. Dialetis, and G. Tsiropoula, Solar Flare Electrons Progagation in Converging Interplanetary Magnetic Structures, Proc. 25th International Cosmic Ray Conference, 1, 281, 1997. G. M. Simnett, R. B. Decker, and E. C. Roelof, Confinement of Electrons Accelerated at Distant High Latitude Corotating Interaction Regions to the Inner Heliosphere, Proc. 25th International Cosmic Ray Conference, Durban, S. Africa, Paper SH3.2.2, 1997. A. Buttighoffer, Relations Couronne-H�liosph�re R�v�l�es par la Propagation des Particules Solaires, Th�se de Doctorat de l'Universit� Paris (Ph.D. Dissertation), Univ. of Paris, 1996. D. Haggerty, HISCALE Observation of Jovian Interplanetary Events, Ph.D. Dissertation, Univ. of Kansas, 1996. G. C. Anagnostopoulos, E. T. Sarris, P. Marhavilas, and S. M. Krimigis, Ulysses' Observations of Energetic Charged Particles Upstream and Downstream From Jupiter's Bow Shock, EGS Newsletter, 54, 141, 1995. G. C. Anagnostopoulos, A. Balogh, P. Marhavilas, M. Daugherty, B. Forsyth, E. T. Sarris, and S. M. Krimigis, 10 Hours Modulation of Magnetic Field and Hot Plasma Characteristics Observed by Ulysses Outside Jupiter's Bow Shock, Hellenic Astronomical Conference Programme & Abstracts, p. 1, 1995. M. Boufaida, Gradients of 0.3 to 5 MeV Protons in the 1-5 AU In-Ecliptic Plane: Propagation, Modulation and Acceleration, Ph.D. dissertation, Univ. of Kansas, 1995. Abstract. X. Hong, Effect of Backscattered Electrons on the Geometric Factors of the LEMS30 Telescope, masters thesis, Univ. of Kansas, 1995. N. Krupp, R. B. Decker, L. J. Lanzerotti, E. Keppler, S. M. Krimigis, and R. E. Gold, Comparison of Recurrent Ion Events Using Ulysses HI-SCALE and EPAC and Voyager LECP Data, Proc. 24th International Cosmic Ray Conference, 4, 431, 1995. Abstract. C. G. Maclennan, LAN Cover-Close Calibrations: Present State of Understanding, unpublished report, 1995. C. G. Maclennan and L. J. Lanzerotti, Anomalous Cosmic Ray Oxygen (-2.5 MeV/nucl) at High Southern Heliolatitudes on Ulysses, Proc. 24th International Cosmic Ray Conference, 4, 505, 1995. Abstract. E. T. Sarris, G. C. Anagnostopoulos, T. Terasawa, S. M. Krimigis, A. Nesis, R. Hammer, and A. Belechaki, Large Scale Effects of the February 10, 1994 Solar Event on the Heliosphere, Hellenic Astronomical Conference Programme & Abstracts, p. 43, 1995. D. J. Thomson, L. J. Lanzerotti, and C. G. Maclennan, Time Series Analysis of Low Energy Interplanetary Charged Particle Fluxes and Interplanetary Magnetic Field Data, Proc. 24th International Cosmic Ray Conference, 4, 435, 1995. Abstract. G. C. Anagnostopoulos, E. T. Sarris, G. D. Kaliabetsos, S. Raptis, P. C. Trochoutsos, and P. K. Marhavilas, On the Origin of the Forward Velocity Dispersion Effect of Ion Events Upstream From the Earth's and Jupiter's Bow Shock, Proc. 30th COSPAR Assembly, 143, 1994. T. P. Armstrong, D. Venkatesan, A. G. Ananth, D. Anglin, and R. Burrows, Comparison of the Two Major Solar Proton Events at Ulysses During March 1991 and May-June 1991, Proc. 23rd International Cosmic Ray Conference, Calgary, Canada, vol. 3, 246, 1993. Abstract. M. Boufaida and T. P. Armstrong, Observations of 0.3 to 2.0 MeV Protons in the 1 to 5 AU Region With Voyager 1 and Ulysses Compared to IMP 8, Proc. 23rd International Cosmic Ray Conference, Calgary, Canada, vol. 3, 334, 1993. Abstract. J. Buckley, Geometric Factor Study for the Deflected Electrons of HISCALE, the Heliosphere Instrument for Spectrum, Composition and Anisotropy at Low Energies, masters thesis, Univ. of Kansas, 1993. M. I. Desai, G. M. Simnett, S. J. Tappin, L. J. Lanzerotti, S. M. Krimigis, T. P. Armstrong, and E. T. Sarris, The Spectral Form and Evolution of Interplanetary Ion Events From Jupiter, Proc. 23rd International Cosmic Ray Conference, Calgary, Canada, vol. 3, 342, 1993. Abstract. L. J. Lanzerotti, C. G. Maclennan, R. E. Gold, S. E. Hawkins III, and S. J. Tappin, Ion Abundances in Solar Event at 5.3 AU, Proc. 23rd International Cosmic Ray Conference, Calgary, Canada, vol. 3, 379, 1993.Abstract. C. G. Maclennan, L. J. Lanzerotti, R. E. Gold, S. E. Hawkins III, and S. J. Tappin, Composition of Interplanetary Ions in Recurrent Events: Measurements by HI-SCALE on Ulysses at 3 - 5 A.U., Proc. 23rd International Cosmic Ray Conference, Calgary, Canada, vol. 3, 330, 1993. Abstract. E. C. Roelof, G. M. Simnett, T. P. Armstrong, and L. J. Lanzerotti, Low-Energy Ion and Electron Events at Ulysses Beyond 5 AU and at IMP8 Near Earth, Proc. 23rd International Cosmic Ray Conference, Calgary, Canada, vol. 3, 338, 1993. Abstract. L. J. Lanzerotti, C. G. Maclennan, P. J. White, R. E. Gold, E. C. Roelof, G. M. Simnett, S. E. Hawkins, K. A. Anderson, T. P. Armstrong, R. P. Lin, S. M. Krimigis, M. Pick, and E. T. Sarris, Low Energy Ion and Electron Measurements of the March-April 1991 Solar Events by Ulysses, Proc. 22nd International Cosmic Ray Conference, Dublin, Ireland, vol. 3, 181, 1991. Abstract. 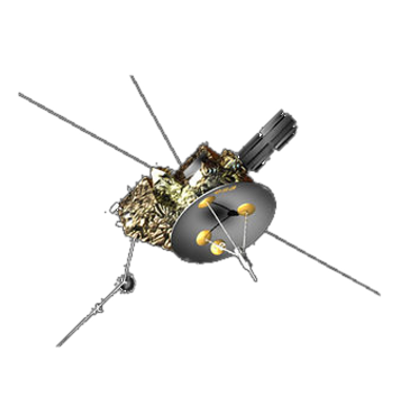 Manufacturer: ESA provided the Ulysses spacecraft, NASA provided the power supply, and various others provided its instruments. © 2019 Fundamental Technologies, LLC - All rights reserved.